-Read the excerpt below from the "Best of the Web" post by The Wall Street Journal's OpinionJournal editor James Taranto. Cruz told a conservative conference in Austin Friday that President Barack Obama is lawless, dangerous and terrifying, providing the right-wing rhetoric to his base that makes him so popular in his home state. The conservative Republican laid out his reasoning for why he thinks the president is “dangerous and terrifying,” noting last minute exemptions that the Obama administration made to key provisions of the Affordable Care Act, refocusing enforcement of immigration laws away from certain groups of people in the country illegally, and deciding to allow Colorado and other states to experiment with legalizing marijuana. . . .
Cruz mocked Obama on the final day of the conference organized by the Texas Public Policy Foundation, but offered few new ideas. Cruz said the liberal media refuses to accurately report the threat to liberty of the Obama presidency, and makes excuses for the president’s overreaches. “If you love liberty, that should concern you greatly,” said Cruz. 1. What type of bias does the Associated Press reporter Chris Tomlinson display in his interpretation of conservative Sen. Ted Cruz’s speech? 2. From the AP website, former board chairman Frank Batten said: “The people of the AP are part of the fabric of freedom. They are the honest messengers… always committed to getting out the news as thoroughly and as accurately as possible.” Do you think Mr. Tomlinson’s report on Sen. Cruz’s speech fulfills this mission? Explain your answer. 3. From the AP’s “Statement of News Values and Principles”: “…we must be fair. Whenever we portray someone in a negative light, we must make a real effort to obtain a response from that person. When mistakes are made, they must be corrected – fully, quickly and ungrudgingly. And ultimately, it means it is the responsibility of every one of us to ensure that these standards are upheld. Any time a question is raised about any aspect of our work, it should be taken seriously. Read the “Background” below about the Associated Press. Why is it especially important for all AP reporters to be fair and accurate? The Associated Press (AP) is a news service that provides content of all kinds to thousands of newspapers, radio stations, television networks and web sites. 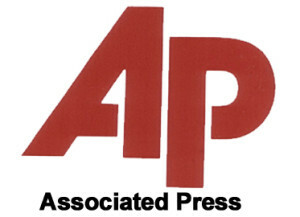 The Associated Press is the most commonly used of all news services. The AP allows news providers to utilize content from parts of the world they could otherwise never cover. Also, view The Associated Press’ Statement of News Values and Principles. 1. In his interpretation of conservative Sen. Ted Cruz’s speech, Associated Press reporter Chris Tomlinson displays bias by spin. Spin is a reporter’s subjective comments about objective facts. 3. It especially important for all AP reporters to be fair and accurate because of its size and reputation. The AP comprises 242 bureaus and employs 3,700 people worldwide. It serves 1,700 U.S. newspapers and 5,000 radio and TV outlets. There are also 8,500 international subscribers [news outlets] covering 121 total countries of the 196 independent countries in the world. A large majority of news reports today are from AP reporters.